Nurseries in New Zealand are struggling to keep up with demand for avocado trees as the country's love of the pulpy fruit has seemingly fuelled a crime wave, it's been reported. According to the Stuff.nz news website, garden centres are reporting waiting lists dozens deep of people who want to grow their own, as prices for a single fruit nudge around NZ$3 ($1.95; £1.50) per fruit. 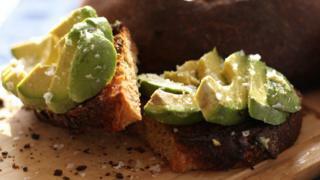 Earlier this year, the price peaked at NZ$7 ($4.60; £3.60) per avocado , the New Zealand Herald reported. People "are asking about avocados all day, every day," nursery owner Lloyd Houghton told Stuff; while another said that they aren't likely to get any new stock until at least September. The problem is that with both individuals and businesses wanting to buy young trees, there just aren't enough to go around. Nurseries are trying their hardest to cope with demand which has increased from 30,000 trees five years ago to 200,000 trees. Jen Scoular of New Zealand Avocado told TV New Zealand that this is because the fruit has become a favourite both in domestic and export markets. "Avocado trees are very much sought after and there's definitely a shortage," nursery manager Andrew Grilli told Stuff.nz, pointing out that it takes two years to cultivate a plant from scratch to the point that it can be sold. And after that, you could be in for a wait of up to five years before your tree bears fruit, he said. The high demand seems to have fuelled a crime wave across New Zealand, with local media widely reporting on thousands of dollars worth of avocados being stripped from trees both under the cover of night and in broad daylight. Growers suspect that the thefts are highly organised, with thieves selling their ill-gotten gains to retailers who have little respect for the sourcing of their stock. It's led to the New Zealand Avocado trade organisation giving advice on how to spot a black market fruit should you be offered one on the cheap. Legitimately-harvested avocados will only have a short stalk of between three to five millimetres, Ms Scoular tells Newshub, and anything else has "probably been stolen".